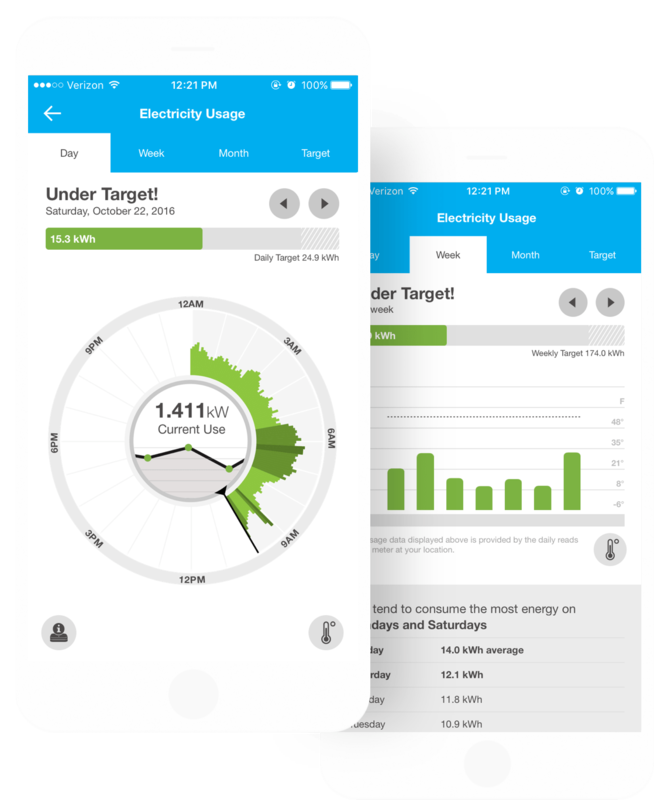 The DTE Insight app is the first of its kind energy optimization IoT platform. By linking to a home's smart meter it can monitor energy usage real-time and provide users coaching on energy optimization. I worked alongside several other designers at Vectorform on various sections of the app to create an engaging and friendly user experience. In addition to monitoring their real-time energy, users can view their usage at various time intervals to reveal consumption habits. They can also set usage targets to aim for. 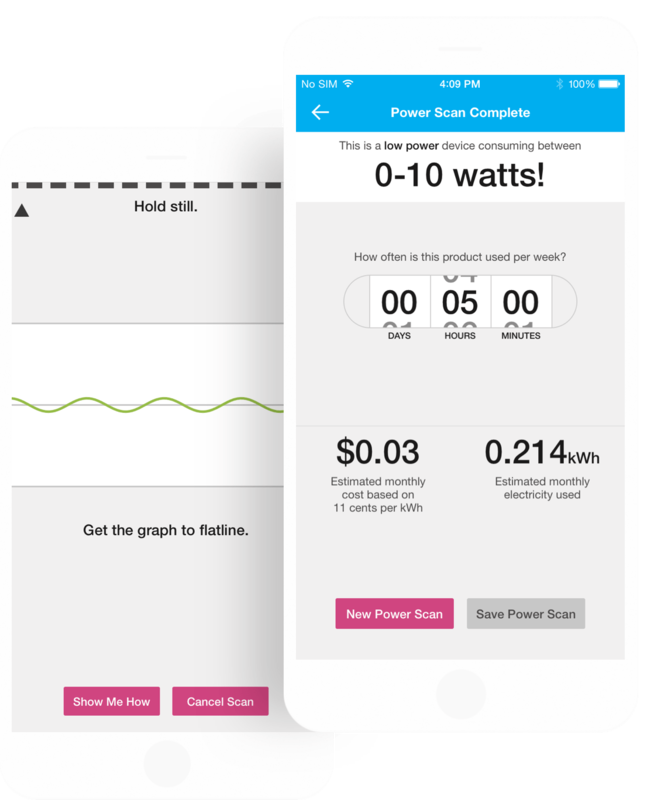 PowerScan™ allows users to discover the amount of power, and cost, of any device with a power cord directly on their iPhone, with no additional hardware needed. Simply hold a product's power cord up to the back of the iPhone and see its energy consumption. 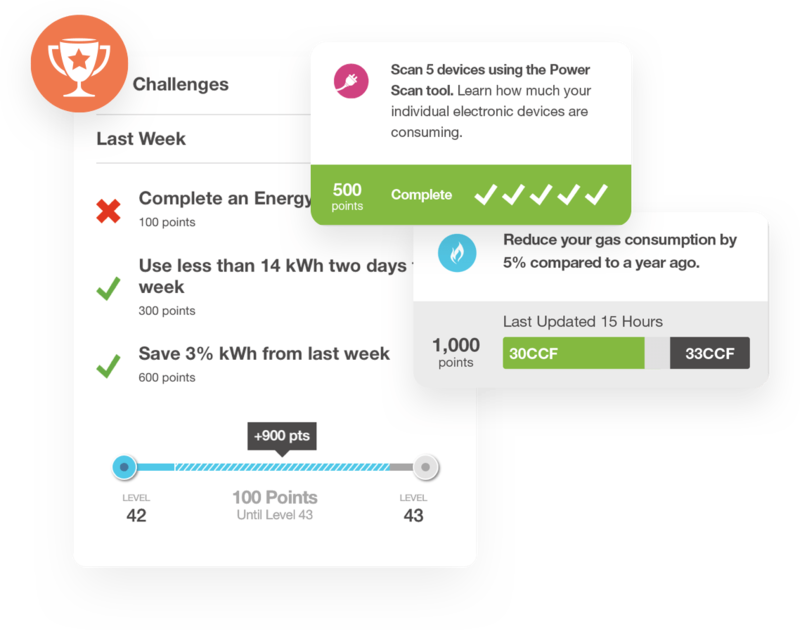 Users recieve points for completing weekly challenges that help coach their energy consumption behavior. 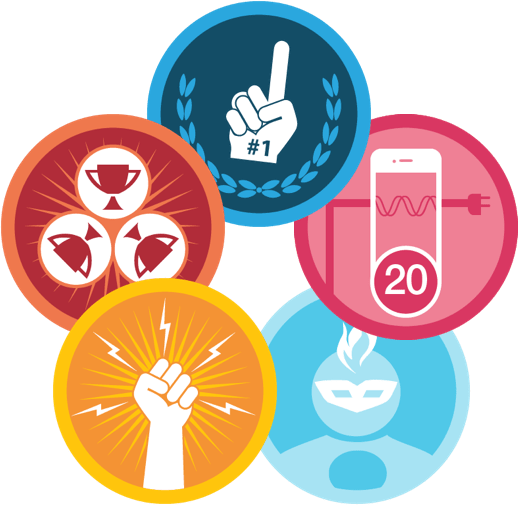 To gamify the experience, users earn badges for completing challenges and hitting their energy targets consistently. 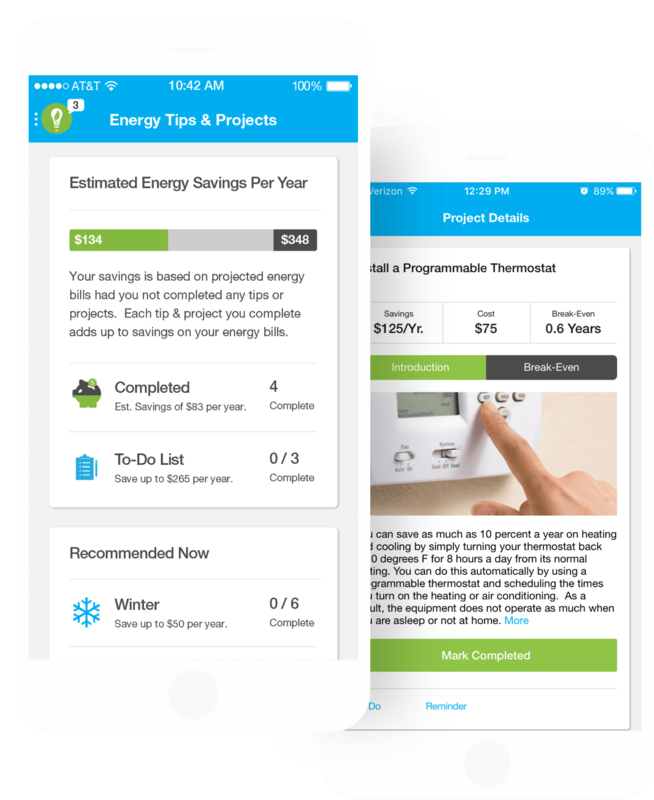 Users can tackle home improvement projects to reduce energy usage with detailed instructions. They can also set energy budgets and earn rewards for completing various challenges.